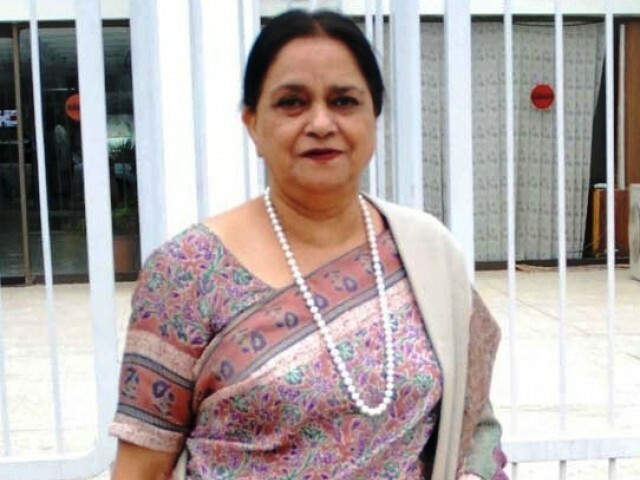 ISLAMABAD: A JUI-F senator in a meeting on Saturday told MQM’s Nasreen Jalil that she should have an appearance like Muslims, after objecting to her dressing in a sari. The incident occurred during a meeting of the Senate’s Functional Committee on Human Rights that was being presided by Nasreen Jalil. Mufti Abdul Sattar of the JUI-F, who is also a member of the same committee, told Nasreen Jalil that an able and intellectual woman such as herself should have an appearance like Muslims. “It is mandatory in Islam for women to cover all parts of their body except the face, hands and feet,” he said. The JUI-F senator said that God had raised Jalil to this status hence she should become a role model for other Muslims and wondered what message would be sent to other women across the country if the footage of the meeting made its way t TV screens. Jalil reminded the senator that she was a 74-year-old woman who had just recently had a close encounter with death and asked him as to what, in his opinion, was the suitable way for a woman such as her to dress.